Paraprofessionals act as a backbone of student support in the classroom. If you are interested in working as a paraprofessional, you have many factors to keep in mind, such as deciding which age group you'd most like to work with. The general role of a paraprofessional is to assist a teacher in the classroom through maintaining order, having material ready for every lesson and providing individual tutoring to students who need extra support. Paraprofessionals had an average salary of $25,270, according to a 2011 Bureau of Labor Statistics report. Employment is expected to grow by 15 percent through the year 2020, according to the Bureau of Labor Statistics. Paraprofessionals reinforce lessons by reviewing material with students during one-on-one sessions or in small groups. They also teach students how to behave properly and remind them about the class rules. Teachers often turn to paraprofessionals to help with record keeping, such as calculating grades, tracking attendance and keeping track of each respective student's progression. 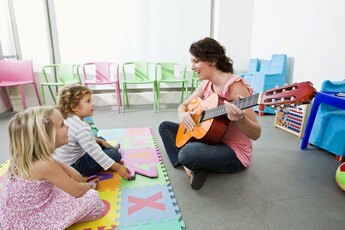 Additional duties include providing supervision during lunch, recess, between classes and on field trips and getting materials ready, such as setting up computers and other equipment needed for lessons. Paraprofessionals often have their hands full during the day. Every day in the classroom is different. It is the job of a paraprofessional to handle conflicts as they arise and juggle the needs of multiple students at once, while maintaining classroom rules. Paraprofessionals must know how to handle various personality types in both children and adults as they have to relate to students, parents and teachers. In many school districts, paraprofessionals are required to have at least an associate's degree. For example, Title I schools, which include federally funded programs designed to help at-risk, low-income students, require paraprofessionals to have earned a degree such as an associate degree in paraprofessional education. However, other schools only require a high school diploma with job training and experience. Paraprofessionals who work with special needs students are required to pass a skills-based test in almost every state. Paraprofessionals must be knowledgeable in the subject matter taught in the classrooms they assist. To assist the teacher, paraprofessionals need strong verbal communication and efficient speaking skills. Educational paraprofessionals should also know school district rules and procedures.This training can be provided in schools, unions and other professional associations. 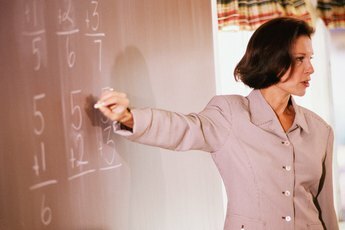 Depending on the school's demographics, assistants may be required to speak a second language. Paraprofessionals are also required to pass a background check before working with children.